2 Bedroom Upper Floor Flat For Sale in Romford for Guide Price £275,000. GUIDE PRICE 275,000 - 300,000. 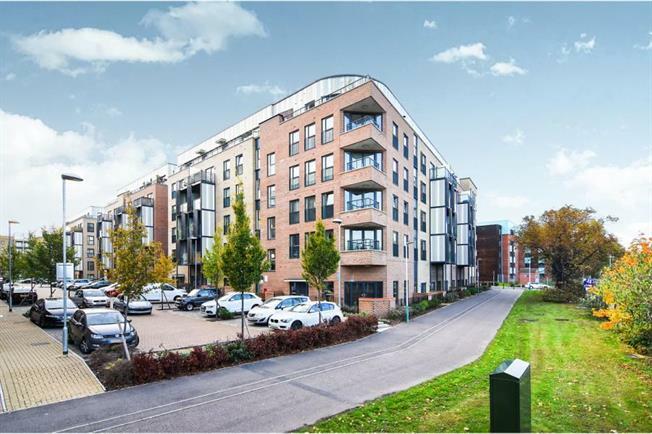 With views overlooking Romford towards Essex and with views of Kent in the distance this 2 bedroom fourth floor apartment is one not to miss. With windows viewing all aspects and a balcony - the living accommodation is a place to relax. Open plan kitchen, dining area and lounge leave for modern living. There is also an ambundance of storage. The apartments have a lift in operation and security entry phone system not only to the entrance hallway but also to the floor. A secured allocated parking space is included in the purchase price. The vendor advises that the lease is over 100 years. Call the Bairstow Eves Sales team to arrange your viewing.